microbreweries to the most well known British brands, and hundreds of bottled and foreign beers, and a selection of real ciders and perries. 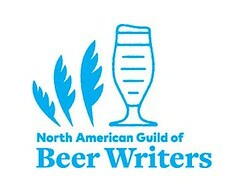 It's also a competition among British brewers for national bragging-rights. Last year, Binghams Brewery's Vanilla Stout won the judging with a cask-ale pickled American-style with vanilla beans, cocoa, chocolate 'essence,' and 'natural' plum flavoring. Upon hearing that, I bemoaned, "Oh the humanity." The beer reporter for the Washington Post took me to task for that, accusing me of demeaning the skills of the brewers and judges. You praise the competition's "even playing field," then dismiss the winner (and by extension CAMRA judges) w/o ever tasting it? Stuff and nonsense, as if holding an opinion would be prima facie wrong, and expressing one, insulting. I don't much like extraneous nonsense tossed in a beer I drink. I do much enjoy the uber-freshness of an unadulterated cask ale. And I freely stipulate to that. 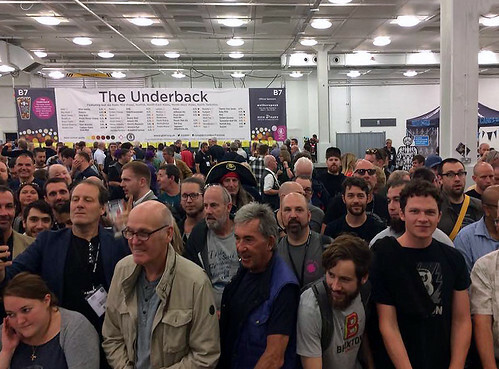 This year —despite the eschatological presence of "fine English wines," for the first time in the London beer festival's forty years— regular order has been restored. A 3.8% (!) alcohol-by-volume bitter (cask-conditioned, of course) has been crowned Champion Beer of Britain. A bitter beer first brewed as a one-off for a pub in Lincolnshire has walked away with the prestigious Champion Beer of Britain award at the Great British Beer Festival at London Olympia. Goats Milk was produced by the Church End Brewery in Warwickshire for the Goat Pub in Market Deeping in Lincolnshire but proved so popular that it’s become a regular beer in the brewery’s range. Head brewer Carl Graves says the 3.8% beer has a simple recipe of Maris Otter pale malt with a touch of crystal malt and malted wheat and is hopped with American Cascade and Chinook hops. The judges on the final panel said the beer was the stand-out one among the six finalists and praised its fine balance of malt and hops and refreshing palate. This year, like last, I was not fortunate to be there to taste the winner. But (risking re-opprobrium from the 'mainstream media') I'll still exult that an unpolluted bitter —a moreish session beer— has bested stronger zymur-sisters and brothers, resting victorious atop its stillage. All is right with the world, at least for a moment. AMERICAN cask ales (exhibited but not judged). What is Real Ale? Read this, from CAMRA. 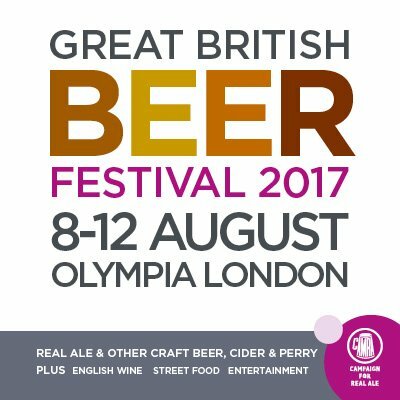 Read more, including the roll of all the winners, at Roger Protz Beer: "Warwickshire Bitter wins Olympia Gold" (8 August 2017). 2017 marks the 40th anniversary of the Campaign for Real Ale's Great British Beer Festival. Its first large beer festival, however, was held in Covent Garden in London in September 1975, a four-day event that attracted 40,000 people who drank 150,000 pints of real ale. 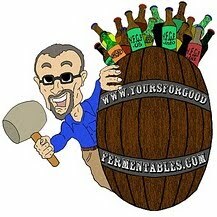 It was soon followed by the first 'proper' GBBF, which was held in 1977 at Alexandra Palace. Read about that first 1975 festival, from Boak and Bailey. Real ale is a beer brewed from traditional ingredients (malted barley, hops water and yeast), matured by secondary fermentation in the container from which it is dispensed, and served without the use of extraneous carbon dioxide. Brewers use ingredients which are fresh and natural, resulting in a drink which tastes natural and full of flavour. It is literally living as it continues to ferment in the cask in your local pub, developing its flavour as it matures ready to be poured into your glass. Real ale is also known as ‘cask-conditioned beer', ‘real cask ale', real beer' and ‘naturally conditioned beer.' The term ‘real ale' and the above definition were coined by CAMRA in the early 1970s. Photo courtesy Phil Wolstenholme, an expat who was back in England for a visit. One of the casks at the American stand was Slobberknocker, a 10% alcohol-by-volume barleywine, brewed by Mad Fox Brewing of Virginia, USA, which also happens to be Mr. Wolstenholme's American local (and, for several years, was mine). I have actually started making more of my 4.2% best bitter recipe with New World hops, and they really do work well when handled with the same restraint as Fuggles and EKG - Calypso was particularly good. Whoever came up with the tosh about New World hops not working in session beers, and real ale for that matter, is a dolt of the highest order.